Even more fascinating than the buildings are the people who inhabit the past of any Suffolk parish. One of the great characters of the 19th Century here was Father George Drury, an early Anglo-catholic in extremis, the Rector of Claydon, Akenham and Thurleston in the 1850s and 1860s. Drury is best known for his part in the Akenham Burial Case, an incident that caught the public imagination and led to national upheaval. You can read about this scandal on the entry for Akenham, and you can read about Drury's other exotic behaviours on the entry for Claydon. Thurleston was also part of the Drury stable, but was a mount of quite different temperament. The church had fallen into disrepair just before the Reformation, when its patronal Priory of St Peter and St Paul fell victim to Cardinal Wolsey's plans in 1528. Disrepair became disuse, and, as the centuries passed, decay. To extend the earlier metaphor, there was no high horse for firm Father George to ride here. 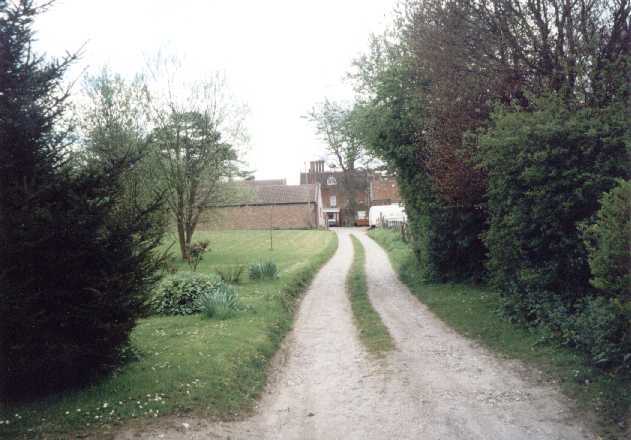 Any Anglicans in the parish, and if any existed they were few and far between, walked across a couple of fields to the village of Whitton; if they were enthusiasts, they might have climbed the hill to Akenham. However, in common with several of the villages around here, most of them hitched a ride on their masters' carts to the non-conformist chapels of Ipswich. An echo from the past. Henley Road continues unaware. Road to nowhere. St Botolph woz 'ere. In 1867, the site was levelled, and surviving masonry was taken away. Some of it was used in the complete rebuilding of Whitton church, and some was used to build a grotto on Drury's back garden. Both Whitton church and the grotto survive today, but here, there is nothing to see. 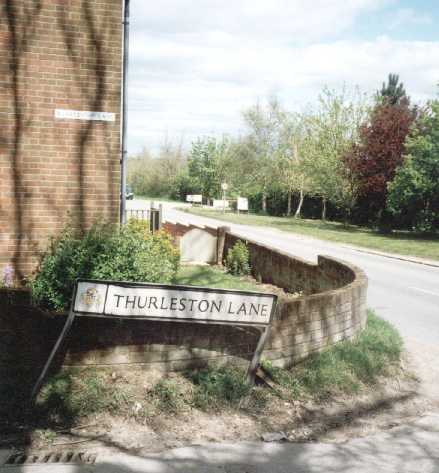 Thurleston, not to be confused with Thurston 20 miles away, does not even have the dignity of a village sign these days. You head down the narrow Thurleston Lane, off of the busy Henley road, just beyond the edge of what is now Ipswich's troubled Whitton estate. After about fifty yards, a cluster of 19th century buildings heralds the heart of the former hamlet. Up a lane, we see Thurleston Hall, with its tall chimneys. Here was the church, where Catholic priests ministered before the Reformation, but which was made redundant by the switch to congregational Anglican worship, for where was the congregation in this tiny place? In modern terms, the Reformation was an act of corporate downsizing, and St Botolph would never be used again. 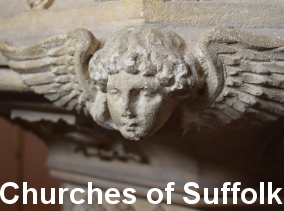 St Botolph himself, of course, is a Suffolk Saint, and is most closely associated with Iken. He is also associated with gateways, and there is a sense here of being on the threshold of the town of Ipswich, with its 150,000 people. Not far off, a tower block rises above the massed houses, This is the school which serves the Whitton estate. There must be many people who daily attend it who do not even begin to wonder why it is called Thurleston High School. St Botolph, Thurleston, was finally demolished in 1867. You can visit its site on the edge of Ipswich by leaving the town centre on Henley Road, and turning left into Thurleston Lane after about three miles. The exact OS grid reference for the site is 154482.